gst.excisegst.com : A Month into New Tax Regime, who Wears The Hat of GST Consultants? A Month into New Tax Regime, who Wears The Hat of GST Consultants? Before the roll out in July, agencies ran ‘Study Circles’ to disseminate knowledge among all stakeholders, clients and business owners and continues to do so, “We conducted a lot of programs for educating people because the idea of One Tax, One Nation is great but implementation of the same has not been. Many of the GST consultants said people still didn’t know how their businesses would be impacted by it. Some were still dealing with problems regarding raising an invoice. “The main problem is that while the tax structure has become simpler, the process itself is difficult to understand. Lots of small and medium businesses, and even some large ones, don’t have qualified people who understand the GST process. Earlier you could file VAT and Service Tax returns manually, but now it has to be filed online. 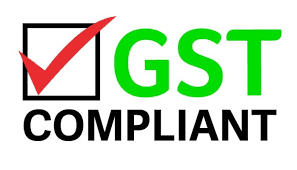 There is a lot of demand for people now for GST compliance". The Institute of Chartered Accountants of India is providing certificate course to train people in the new regime. “There are proper classes post which an examination is conducted. A certificate is given at the end of the term,” said Rajendar Arora, an elected member of Northern India Regional Council of ICAI. A minimum of 30-hour structured training is required to get a certificate. The assessment test will be conducted twice in a period of 12 months around August and February from this year. Only CAs can enroll for the course. There are study circles sprouting across the country for helping people adapt to the new regime. The new GST consultants are holding webinars. Additionally, there have been 100s of workshops, 200 seminars, and setting up of helpdesks to look into the queries after one month of GST.